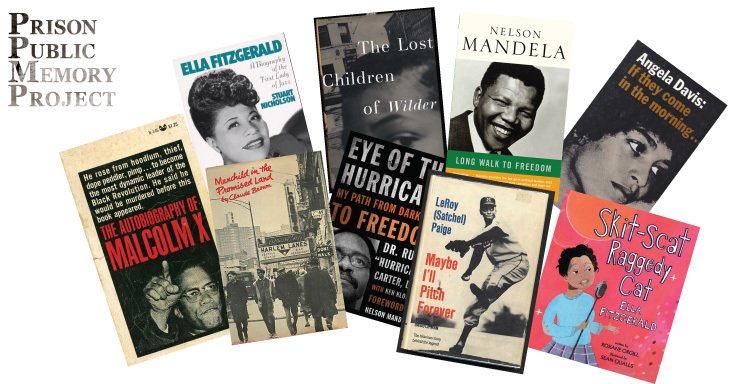 Marking Black History Month 2014, The Prison Public Memory Project and Staley B. Keith Social Justice Center are sponsoring community readings and conversations in partnership with the Hudson Area Library and Rev Coffeehouse. Join your neighbors and friends… Listen, read (out loud) and engage in lively conversation about fascinating characters and events in the history of African-Americans in Hudson and beyond that have happened inside or against the backdrop of prisons. Each evening, we’ll be reading and discussing short selections from books, poems, letters, and other documents from the 1800’s through the 1970’s on specific themes. Readings will be provided… or bring your own! Join us for one or more of these sessions featuring readings by and about such well-known figures in Black History as Martin Luther King, Malcolm X, Angela Davis, Satchel Paige, Ruben “Hurricane” Carter, Ella Fitzgerald, Claude Brown, and the not-so-well-known figures who nevertheless profoundly shaped black history locally and beyond such as Dr. M.E. Ross, Shirley Wilder, the Honorable Jane Bolin, and Mary Hughes. Let us know if you have thoughts or suggestions.